We work up this morning and both Drew and Noah were exhausted and not very excited about our walking tour around Venice, so I Ilise and I decided to go by ourselves. The kids stayed home, did some homework and got some rest. We arrived at the meeting place in San Polo and met our tour guide, Lucia. 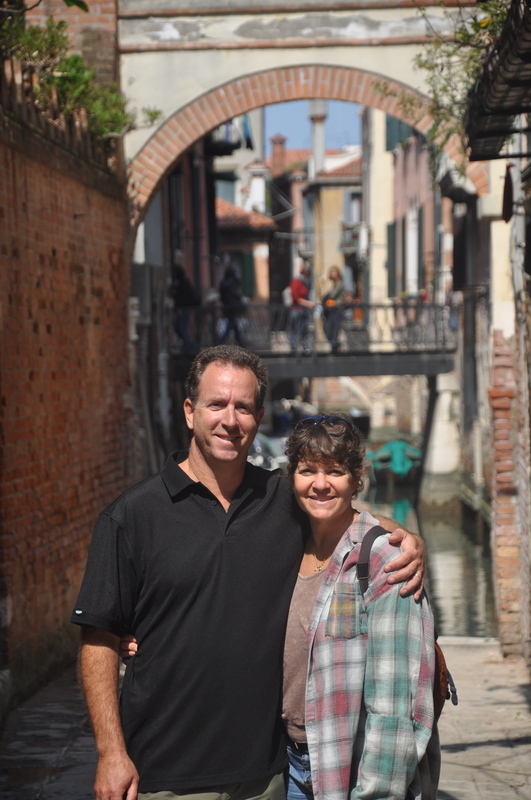 Lucia was a native of Venice and we excited when we showed up because we were the only ones there at meeting time. She had expected 10 people, but there we were standing alone. We were about to start the tour when two people came panting toward us, they went to the wrong place and were running to get to this meeting spot. 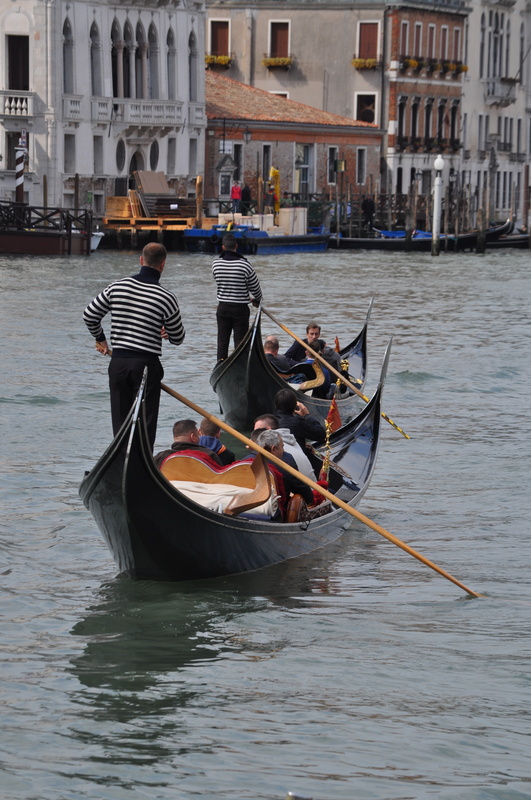 The couple was from London and had just arrived in Venice yesterday for a long weekend away. We started the tour and Lucia decided to take us to the non-tourist destinations in Venice. She was a local who was proud of her city and disappointed in those locals who are not kind to tourists. In the end, tourists are what make Venice possible. This place is almost 100% supported by tourism, so why would they be so dumb? 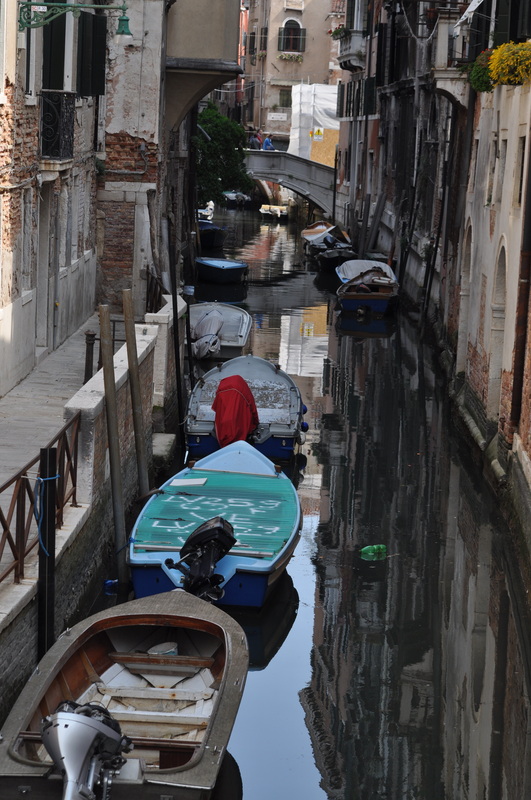 We walked for about 2 1/2 hours through all areas of San Polo, including the “red light” district of Venice of old and many Campo’s (open areas, typically be a church). 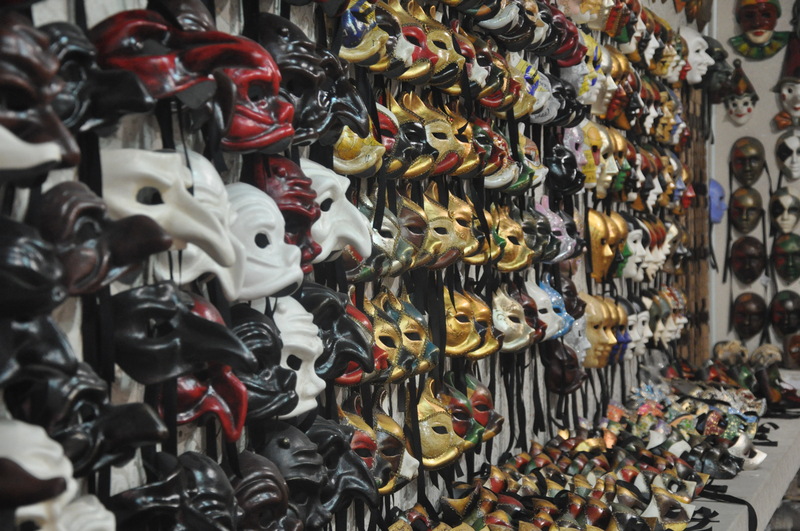 We passed by some amazing shops, including a mask shop that had an elderly gentleman still making masks by hand. Everything in the shop was hand made and beautiful. After the mask shop we passed by a bakery that Ilise couldn’t wait to go back to. We will find our way there before we go. 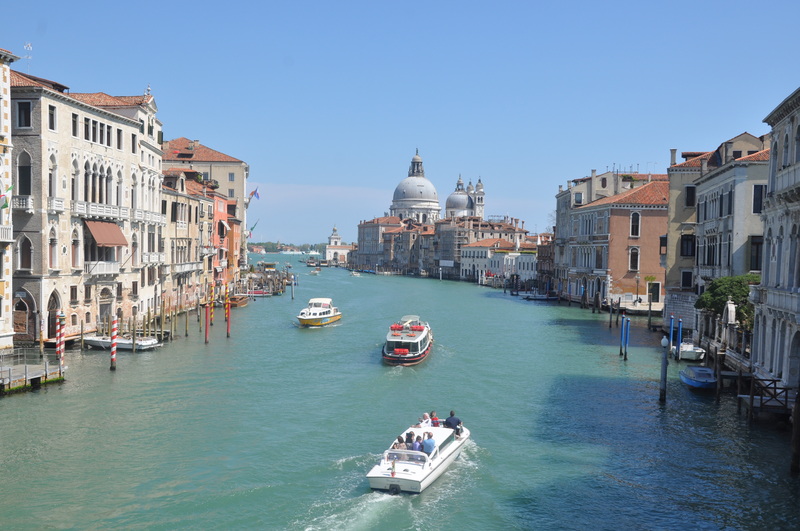 We visited not only the San Polo area, but San Croce and Dorsoduro. Lucia lives in Dorsoduro and we passed by her apartment right before we ended our tour. When we were ending the tour Lucia gave us a map of the city with all of her highlights, including her favorite fish restaurant and gelato store. Since it was lunch time we decided to go to the fish restaurant to get some fresh fish. We were put at a table next to another couple who turned out to be from France. Their English was not very good, but we had a wonderful conversation with them. Ilise used some of her old French knowledge and we figured it out. We left the restaurant and found ourselves looking for the recommended gelato shop called Nico. Lucia said you need to get the cup of chocolate covered with whipped cream, so Ilise ordered the chocolate and I got some mango and raspberry gelato. Ilise started eating the chocolate and realized that she wanted some mint chip gelato as well. So, we ended up with a really nice desert after a great lunch. We started walking back to the apartment looking for a jewelry shop that Lucia said makes personalized named necklaces. She had a very nice necklace that said Lucia and Ilise asked where she got it because Drew has been asking for one of those for a few years, and where better to get one than Venice? We found the recommended shop but they said that they don’t make what we are looking for. So, we figured we would email Lucia and ask her for some other suggestions. Hopefully we can find a place to get the necklace as Drew’s birthday gift from Ilise’s mom. Leaving Italy, on to Germany!